White Center Now: The blog about White Center » Archive » Food garden coming to the White Center Food Bank – can you help? Food garden coming to the White Center Food Bank – can you help? February 12th, 2009 at 5:48 pm Posted in Community Harvest of Southwest Seattle, Gardening, How to Help, White Center Food Bank, White Center news | Comments Off on Food garden coming to the White Center Food Bank – can you help? Community Harvest of SW Seattle in partnership with the White Center Food Bank will be removing some grasses and other ornamentals to make room for a food garden. This demonstration garden, designed by a SSCC horticulture student, will have sections for traditional Asian greens, square foot gardening, northwest berries, and containers. The intention of this garden is to inspire and educate on the possibilities for growing food, even in limited spaces. 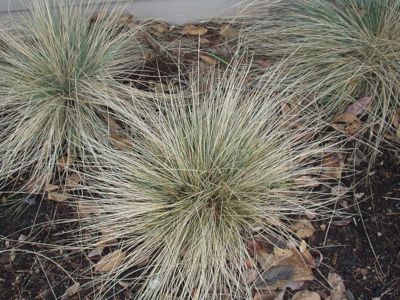 Seattleworks volunteers will be digging up existing landscaping on February 21st, and we would like to offer some of these lovely grasses and bushes in exchange for compost (or $$ to buy compost!) All donations of time or money will be happily accepted and will go toward this project and other projects which encourage food growing amongst low-income residents of West Seattle and White Center.